Sunday, October 28, 2018, 3 p.m.
George Frideric Handel was born Georg Friedrich Händel in Halle, Saxony, on February 23, 1685, and died in London on April 14, 1759. He composed his oratorio Solomon between May 5 and June 13, 1748, and led the first performance on March 17, 1749. The orchestra consists of two oboes with strings and continuo. Duration is about 4 minutes. ​ At any rate, the oratorio developed almost by accident when the Bishop of London prevented theatrical performances during Lent and a way had to be found to keep expensive musicians employed. The solution was to present dramatic works in a non‑staged manner. The plots were drawn most often from familiar Bible stories presented — to quote the British scholar Winton Dean — "...in an epic style that combined entertainment with edification." These dramatic oratorios were much less expensive to produce; they did not require scenery or costumes, and since they were sung in English, they also did not require the expensive foreign vocal soloists. Moreover Handel extended the musical range by making much greater use of the chorus than was ever the case in the opera. The result was so successful that he eventually gave up composing operas altogether and limited his dramatic output to the oratorio. Solomon, composed in 1749, comes near the end of the series. The author of the libretto is unknown; he based his work on passages in II Chronicles, I Kings v, and the History of Jewish Antiquities of the ancient writer Josephus. The title character, of course, is the tenth‑century BCE ruler of Judah and Israel renowned for his great wisdom and for the large number of his wives. The third act tells of the coming of the Queen of Sheba (i.e., Saba, an Arabian kingdom), who has heard of Solomon's wisdom and wishes to test it and to observe for herself the reputed splendor in which he lives. The act is preceded by a lively concerto movement, far and away the best-known part of the score, often performed as a showpiece for the two oboes and a vigorous workout for the strings. Handel never gave this movement a title, and the score of Solomon simply calls it a Sinfonia; it seems to have been that devoted (if quirky) Handelian Sir Thomas Beecham who invented the title by which the piece has become so famous (a clever bit of psychology, that. People are far more likely to remember — and want to hear -- The Entrance of the Queen of Sheba than Sinfonia From theThird Act of Solomon, even though it is the same piece). Franz Joseph Haydn was born on March 31, 1732, in Rohrau, Austria, and died May 31, 1809, in Vienna. Symphony No. 82 is scored for flute, two oboes, two bassoons, horns and/or trumpets, timpani and strings. Early conflicting manuscript sources make the exact scoring for the brass unclear. Typically, however, it is performed with both horns and trumpets. Paris before the revolution was one of the most musical centers in Europe, with music publishers, concert series sponsored by the nobility but attended by large general audiences, and many talented amateur musicians who played chamber music at home for the sheer pleasure of it. During the years that Haydn was living a quiet but very busy life in the service of Prince Nicolaus Esterházy in Vienna and, especially, at the princely rural estate of Esterháza (now in Hungary near the Austrian border), the composer had no inkling of how famous he had already become. As early as 1764 his works began to be published in Paris in editions that probably he did not know about; he certainly never realized a cent from any Parisian publishers in the 1760s. His works sold so well that unscrupulous publishers published music by other composers under the name of Haydn. The popularity continued through the 1770s and into the 1780s. Haydn learned in a letter from the director of the Parisian Concert Spirituel that his Stabat Mater had been performed there four times with great success. By this time the French were ready to approach Haydn directly for new music. In 1785 the young, handsome, music-loving Count d'Ogny, Claude-François-Marie Rigoley, proposed to commission a group of symphonies from Haydn for the concert organization of the Parisian Freemasons called Le Concert de la Loge Olympique. The concertmaster of the organization, the Chevalier Saint-Georges, wrote to Haydn to offer the sum of 25 louis d'or per symphony, with an additional five louis for publication rights. Up to this point Haydn had earned nothing from his 80-odd symphonies, so the sum proposed by the Parisian musicians seemed princely indeed. ​ Of the six Paris symphonies, conventionally numbered 82 to 87, Haydn's own dated manuscripts survive for all but No. 85. We know that Nos. 83, 87, and probably 85 were composed in 1785, and that the even-numbered symphonies came the following year. They were probably all first performed on the concerts of the 1787 season. So well received were all six works that they were quickly adopted by the rival Concert Spirituel as well. Practically all the nicknames attached to various Haydn symphonies originated in the 19th century and have no basis in the composer's conception. The only reasonable purpose they serve is to provide a convenient — if often silly — tag to label a few of the dozens of symphonies in Haydn's enormous output; it is easier to refer to The Bear than "Symphony No. 82 in C major." In any case, The Bear has no more significance as a title for No. 82 than The Hen does for No. 83. Some imaginative soul described the finale with the image of a dancing bear and the nickname stuck. The Symphony No. 82 is one of a series of C major symphonies by Haydn, all of which are exceptionally brilliant in energy and festive sonority. The sweep of the first movement comes from the sharply etched rhythmic motives that provide strong continuity (the technique of imbuing his themes with an identifiable rhythmic profile is one of the things Beethoven learned from Haydn). This rhythmic life is combined with harmonic daring, including a stunningly bold dissonance just before the establishment of the new key. Throughout this splendid movement the fanfare figures take on new life — and lead in unexpected directions — precisely when the listener expects them to be most stereotyped. The Allegretto — a moderately fast "slow" movement — is laid out in one of Haydn's favorite schemes: a double variation form, alternating Theme I (major) with Theme II (minor), each being varied in turn. At first the major theme is scarcely changed at all, but after its second return, it is extended for further treatment. The Menuet in this case is a true minuet (unlike some of the examples in the other Paris symphonies), stately and pompous, with a Trio that is folklike with charmingly scored wind solos. ​ The high-spirited finale begins with a drone on the pitch of the home key (like that of Haydn's very last symphony, still nearly a decade in the future) before dancing away on a tune of clearly popular character. Yet for all its accessibility, the movement is replete with Haydn's technical refinement, including particularly the wide-ranging development, where drones introduce the folk dance in a dizzying series of unexpected keys before settling down for the restatement and the dazzling C major sunburst of the conclusion. ​ Johannes Chrysostomus Wolfgang Gottlieb Mozart, who began to call himself Wolfgang Amadeo about 1770 and Wolfgang Amadè in 1777, was born in Salzburg, Austria, on January 27, 1756, and died in Vienna on December 5, 1791. He composed the concerto for flute and harp in Paris almost immediately after his arrival there on March 23, 1778. The date of its first performance is unknown, though it was most likely a private one in the household of the aristocrat Duc de Guines who commissioned the work. Mozart's Concerto for Flute and Harp is one of his most Parisian compositions, not surprising, since it is a product of his 1778 visit to Paris with his mother (whose death there embittered the end of the journey). Mozart had hoped to become the center of attention of all fashionable Paris, but he quickly discovered that the great nobles and aristocrats might enjoy music, but they did their best to avoid paying for it. One of his greatest frustrations came in his dealings with the Count de Guines, who played the flute "extremely well" and whose daughter's playing of the harp was "magnifique." 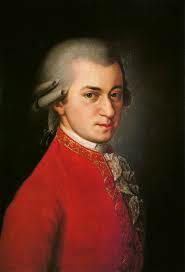 The father hired Mozart to teach the girl composition, though this proved impossible. "She has no ideas whatever — nothing comes. I have tried her in every possible way," he wrote to his father. The lessons ended soon with the girl's marriage. Mozart noted that the Duc de Guines had not paid him for several months of lessons and "a concerto of mine for flute and harp." De Guines evidently commissioned the concerto from Mozart as soon as he arrived in Paris. The work is truly a concertante symphony rather than a concerto, as is evident particularly when the solo instruments intertwine with other members of the orchestra, such as the oboes and horns in the last movement. The taste of Mozart's Parisian patron (and of the Paris audiences) is reflected in the lighthearted galanterie, richly decorative, filled with charming tunes, and carefully avoiding any profound emotional depths, which would have been wasted in Paris. Structurally the work follows the pattern of Mozart's concertos, rich in prodigal melody designed to highlight the soloists against the orchestra. The first movement has an extended exposition with a brief orchestral ritornello and a varied solo passage that takes off from it, first echoing the orchestra then moving on to a plethora of new tunes. The development is necessarily brief after this expansive opening, and the recapitulation, too, keeps tighter rein on the soloists, while varying the details of thematic treatment. The slow movement completely drops the orchestral winds and divides the violas into two parts, producing a mellow backdrop against which the flute and harp can sing their dreamy song. The finale, a rondo based on a dance melody in the style of a gavotte, brings back the horns and oboes in a role that grows more and more prominent as the movement continues, ultimately to become concertante instruments themselves. It may be true that this concerto plumbs no great emotional depths, nor does it rise to any heroic heights. Because of this, the flute and harp concerto has occasionally earned the opprobrium of those who complain that it is not something quite different. But in its own charming way it reveals one aspect of Mozart's musical personality — the powdered-wig Mozart writing to the tastes of society — as clearly as any score he ever turned out. Joseph Maurice Ravel was born in Ciboure near Saint-Jean-de-Luz, Basses Pyrénées, France, on March 7, 1875, and died in Paris on December 28, 1937. The Mother Goose Suite began life as a set of five duets for piano four-hands, composed between 1908 and 1910. Inspired by a beautifully illustrated volume of 17th and 18th century fairy tales, Ravel wrote it for Mimi and Jean Godebski, aged 10 and 8, children of Ravel's friends, who were patrons of the arts and whose home was a gathering place for the creative minds of the time, including Jean Cocteau, André Gide, Erik Satie and Igor Stravinsky. In 1911 Ravel delicately orchestrated the suite. In these orchestral jewels, Ravel said, he wanted "to evoke the poetry of childhood," and listeners will hear how beautifully they reflect the world of a child's imagination. The tiny Pavane of the Sleeping Beauty is only 20 measures long. It depicts the Good Fairy, who watches over the Princess during her 100-year-long sleep. Courtiers are dancing the pavane, a slow 16th century dance of Spanish origin, and the music consists of a single motif, soft and delicate, repeated by various instruments of the orchestra. Laideronette, Empress of the Pagodas is based on a 17th century story by Countess d'Aulnoy (also the author of "Goldilocks") about a beautiful princess who was made ugly by a wicked witch. She meets a Green Serpent who takes her to sea in a small boat. They are shipwrecked on an island which is inhabited by pagodins and pagodas—tiny, miniature creatures whose bodies are made of crystal, diamonds, rubies, sapphire, gold, silver and wood. Ravel's music starts when all the little pagodas begin to dance and play for the princess on their tiny instruments. The music sounds oriental, with a lively pentatonic melody (playable on the black keys of the piano), played by woodwinds and plucking strings, wood block, glockenspiel and xylophone. Suddenly, a big gong announces the Green Serpent (who will turn out to be Prince Charming, also disguised by an evil spell). His music is a slow mysterious duet between the low clarinet and high flute. The first dance of the pagodas returns and comes to an excited end. The spell is broken! The prince and princess marry, become Emperor and Empress of the Pagodas, and of course live happily ever after! ​ Nikolay Andreyevich Rimsky-Korsakov was born in Tikhvin, Novgorod, on March 18, 1844, and died in Lyubensk, St. Petersburg, on June 21, 1908. Rimsky-Korsakov was a masterful orchestrator and his orchestral compositions along with excerpts from his 15 operas are well known in the West — think of Scheherazade, Capriccio Espagnol, Russian Easter Festival Overture and The Flight of the Bumblebee. A member of a group of composers known as The Five, Rimsky was deeply committed to developing a nationalistic style, in contrast to the élite western status and court connections of Conservatory composers such as Tchaikovsky. In his works, he made frequent use of fairy tale and folk subjects which, as Harold C. Schonberg wrote, "open up a delightful new world, the world of the Russian East, the world of supernaturalism and the exotic, the world of Slavic pantheism and vanished races. Genuine poetry suffuses them, and they are scored with brilliance and resource." Flight of the Bumblebee is an orchestral interlude from his opera The Tale of Tsar Saltan, which is based on a fairy tale by Russia's greatest poet, Aleksandr Pushkin. Rimsky-Korsakov composed his opera in 1899–1900 to coincide with Pushkin's centenary, and it was first performed in Moscow in 1900. The short Flight excerpt closes Act III, Tableau 1 in the opera, and — talk about a disguise — here is the story. Young Prince Gvidon has been stranded on an island and separated from his father, the Tsar, who thinks he is dead. The prince rescues a magic Swan-Bird who changes him into a Bumblebee so he can fly across the ocean to find his father. The music portrays the Bumblebee as it happily circles around and whizzes off to sea. We hear two of the Prince's motives (leitmotifs) amidst all the buzzing which let us know that the insect is still a Prince. You might enjoy knowing that in the next scene of the opera this same music returns when the Bumblebee appears; it stings the two evil sisters on the brow, blinds the wicked Babarikha who had tricked Tsar Saltan into sending his wife away, and in general wreaks havoc—a son's perfect revenge on the enemies of hisfFather. In the century since its composition the piece has adorned itself in all kinds of "costumes" — becoming a showcase for solo virtuosity on almost any instrument imaginable. Pulitzer Prize-winning composer Yehudi Wyner, b 1929, is one of America's most distinguished musicians. His compositions include over 100 works for orchestra, chamber ensemble, solo voice, piano, chorus and music for the theater, as well as liturgical services for worship. He has received commissions from Carnegie Hall, the Boston Symphony, Library of Congress, Ford Foundation, Koussevitzky Music Foundation and The National Endowment for the Arts. He won a Grammy Award for his recording The Mirror and was nominated for a second Grammy for his Pulitzer prize-winning piano concerto, Chiavi in Mano. In addition to composing and teaching, Yehudi Wyner’s active and eclectic musical career has included performing as a pianist, directing two opera companies and conducting numerous ensembles in a wide range of repertory. "A comprehensive musician, Mr. Wyner is an elegant pianist, a fine conductor, a prolific composer and a revered teacher." (Anthony Tommasini, The New York Times). He has taught at Yale, Harvard, Cornell, Brandeis, SUNY Purchase, and the Tanglewood Music Center. He is president of the American Academy of Arts and Letters and a member of the American Academy of Arts and Sciences. In 2005, Yehudi Wyner performed Gershwin's Piano Concerto with the Warren Philharmonic Orchestra, and in 2014 the Philharmonic gave the world premier of MAZE, which he composed specifically for the Warren Philharmonic Orchestra and the young violinists of the Philharmonic’s Strings of Joy program. Yehudi Wyner writes, "The Strings of Joy project, conceived by Frank Bodor, was begun four or five years ago. The idea was to put string instruments into the hands of young students and to provide free instruction on how to play them. The project began modestly with just a few youngsters undertaking to learn the basics. "To provide them with a goal, it seemed like an interesting idea to present the players at a public concert. With this in mind Music Director Susan Davenny Wyner asked me to write a short piece for orchestra which would feature these young players demonstrating what they had learned, even if what they could play was very simple. And so MAZE came into being, and the young players took pride in their success as they were featured on a regular concert of the Warren Philharmonic. "Meantime a new evolution of the Strings of Joy program was taking place. More students wanted to participate, and the instruments now included a 'cello! These new players were learning new skills and even seemed to enjoy playing together. Susan now proposed the creation of a piece to accommodate the larger group and persuaded me to write a new piece. And so MAZE II came into being, in which material from MAZE I is extended and elaborated and in which the Strings of Joy are given more to do. Special note: In creating MAZE II, Yehudi met with the students to hear them play, to interact, engage and collaborate with them. The musical gestures they make in this piece are specially crafted for them. As a performer himself, Yehudi is exquisitely sensitive to a performing musician — and the process of creating music for particular performers has always intrigued and inspired him. Now to give the young Strings of Joy students an opportunity to engage with an artist/musician of his wisdom of years but sense of fun, liveliness, creativity, feels special indeed. These young players have been taking free violin and cello lessons given to them by members of the Warren Philharmonic. Their string instruments have been donated for their use by the Warren Philharmonic Orchestra as a special project funded with help from Trumbull 100 and generous donors from all across the country. We will finish our concert together with a version of a hit song Timberlake wrote along with Max Martin and Karl Johan Schuster for the film Trolls (2016). He said he was inspired to write it for his little baby Silas, and that the simple tune and upbeat words were meant to capture the feeling of Happiness. This page was last revised on January 6, 2018.